Having a child of my own has never been an option. First, because obviously, of my sexual preferences but most primarily because of this adorable little man…. He was born when I was 20. I’m about to finish college then and eversince, I spent most of my waking hours thinking of ways to make his life better. At 20, I felt like a mother already. And well, I am a mother to him in almost every aspect. I took care of him as a baby. Would carry him if he’s sick. Would attend his therapy. Would buy him clothes, milk, food, medicine. Would cheer him on every minuscule milestone of his life. I would hug him at night until he falls asleep. He’s my source of happiness for the past 8yrs. My source of strength. My inspiration to be better. My reason for living and working real hard. So in every aspect, I am a mother already. And I don’t feel the need to actually have one of my own. But God blessed me with this little peanut. And I am more than happy. Now, I feel like I’m having a second child. And it sure feels like that because my baby Boi is starting to get jealous. He’s extra sweet lately. Would demand extra attention. Would cry everytime I leave the house for work. He wants to spend more time with me. Sometimes, I feel sorry for him. I am afraid that I won’t be able to love them equally. But I trust my heart on that. I believe that my heart could expand beyond imagination. And I am praying for God’s grace and guidance in order for me to fulfill the duty of being a mom to a special brother and my little peanut. 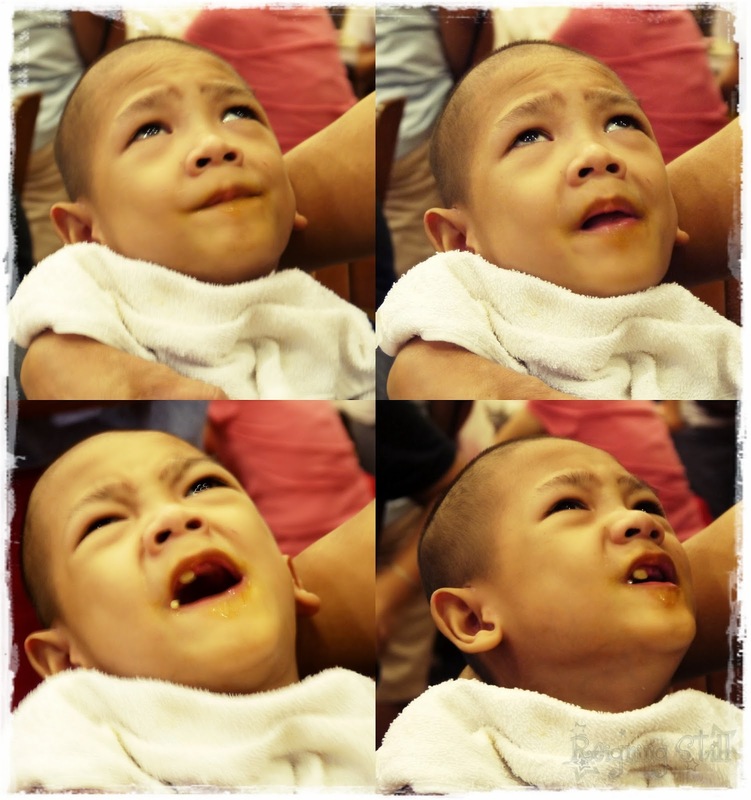 And I hope my child, would grow up loving his/her Tito as much I love him. So now, as we are preparing for the little peanut’s arrival, I am giving extra lovin’ and extra attention to the baby Boi. And his favorite past time is… MALLING OF COURSE! 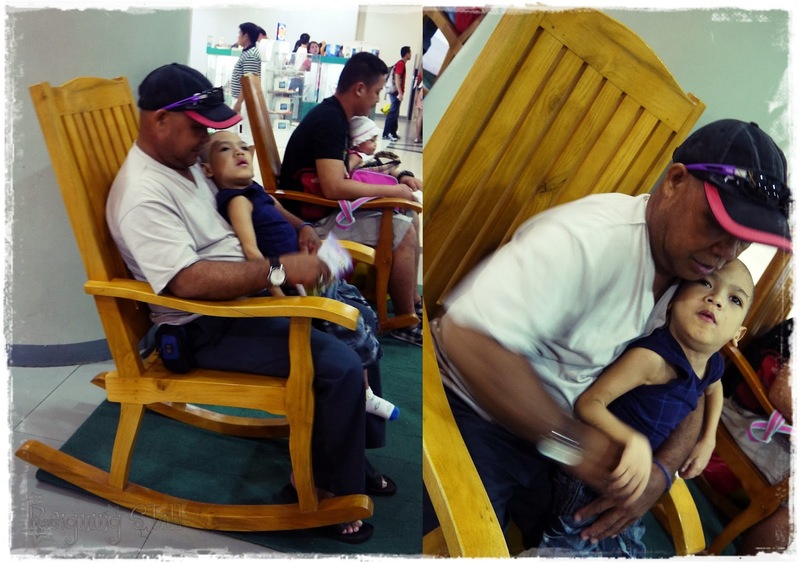 That’s my baby Boi and our Father Earth enjoying the rocking chair at SM Manila. My baby loves strolling at the mall and the Father, who’s usually allergic to malls and anywhere crowded, just have to drag his feet to accompany us coz Mila needs someone to help her carry our big baby because obviously, I can’t. After what seems like forever walking and strolling and well, shopping (I’m with Mila so imposibleng walang bilhin), off we went to look for a place to dine. My baby Boi is a sucker for spaghetti. He loves Jollibee and Greenwich. We were supposed to dine at Greenwich then but there are loads of people and we just have to transfer because the Father is starting to get annoyed. And so we went to Shakey’s! I got the family a Meal Set which includes – a family platter of spaghetti, a family size pizza, garlic breads and a pitcher of iced tea. Totally forgot the price so don’t ask. The spaghetti serving was huge. Between me. Mila, Father Earth and baby Boi, it was more than enough. I love Shakey’s spaghetti because its not too sweet nor too sour. It’s a perfect blend of Filipino style and Italian style spaghetti. The garlic bread is a perfect match to it. And I love Shakey’s Iced Tea. The pizza is too much for us so we ended up bringing almost the entire pizza home. I ordered mojos because it’s everyone’s favorite. And I know the Father Earth would love it. Di nga ko nagkamali. Sya kumain ng halos lahat ng mojos. We finished off the meal with a Banana Split. Actually, it was Mila who insisted on it. She loves dessert and was telling us that the Banana Split is only for her and that we should go order one for ourselves if we want. Kaso, I know that my mother is a takaw-mata. Ayun, in the end, she was begging me and Father Earth to help her finish it. Hahahaha! But the one that helped her big time, is actually our baby Boi who’s also a sucker for ice cream! It was such a fun day all in all. It made a dent to my wallet but all is worth it. Just seeing the happy and contented face of my baby Boi is more than enough for me. I am one happy Mimi Ate.